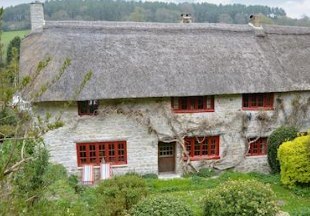 This detached cottage sits at the head of one of the most beautiful villages on the edge of Bodmin Moor. Featuring a galleried bedroom (with a spiral staircase leading to it), a wood burning stove and Freeview TV, the cottage is also only 20 yards from the local pub! 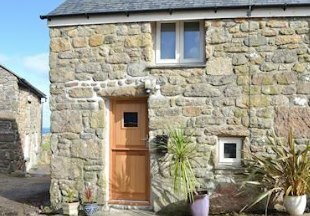 Mini Barn is located just off the coastal path on the edge of the village of Pendeen. The cottage boasts sea views overlooking the Pendeen Watch lighthouse, with the accommodation itself featuring underfloor heating and slate floors. It is close to many sandy beaches, and the local village has a pub and a shop both within 1/4 mile. 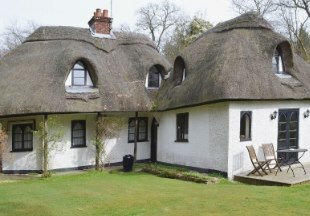 Little Heathfield is a pretty thatched cottage nestling in a secluded location on the edge of the New Forest. Featuring lovely views over field and woodland from the cottage's verandah, it is a haven for wildlife lovers. Plenty of countryside walks radiate from the property, although the resorts of Bournemouth and Christchurch are only a short drive away for beaches, boating, restaurants and nightlife. There is also a pub nearby. This holiday cottage enjoys stunning views over the surrounding Derbyshire countryside. Adjoining the owners’ property, it has been furnished to a high standard and is heavily beamed inside. 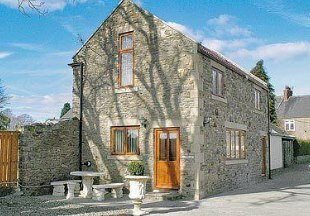 The cottage is perfect for those who wish to explore the Peak District, especially for walkers or horse riders (there is stabling available on site). The local pub is less than 2 miles away. 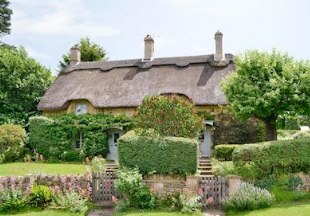 This charming thatched cottage dates from the 18th-century and sits with its own delightful garden high up from the road. It is within walking distance of shops, restaurants (and most importantly) inns. The surrounding area features attractive Cotswold villages, and Stratford-upon-Avon is just 10 miles away. Converted from former farm buildings the cottage offers stylish, contemporary living areas with granite work surfaces in the modern kitchen, private patio and parking, and shared use of the owner’s 17 acre grounds. The property also features stunning countryside views, and offers visitors an array of nearby walks and cycle ways. Nearby is also the High Force in Upper Teesdale with its 70ft waterfall. The local pub is 200 yards from the cottage. 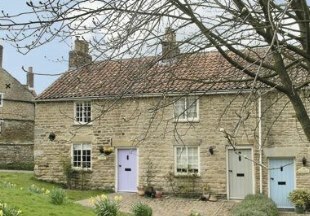 This cottage, dating back to around 1855, has recently been restored yet retains a great deal of its period features. 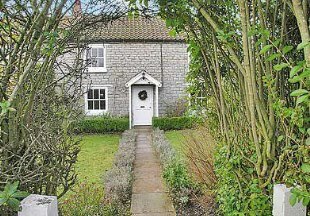 Situated in the village of Normanby surrounded by open countryside, it is the perfet location for a countryside break. The local pub and restaurant is just 500 yards away. 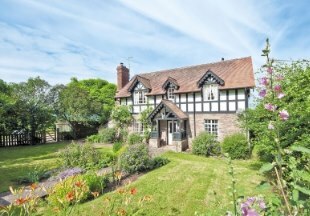 Nestling on a hill with stunning views across the Wye Valley and to the Black Mountains beyond, this detached, secluded period property has been lovingly restored and stylishly decorated, yet retains many original features. 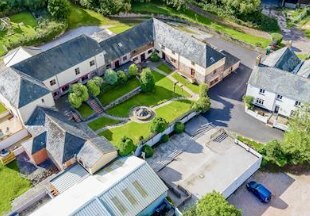 The property is perfectly situated for exploring beautiful Hay-on-Wye, the Welsh borders and Brecon Beacons. The local pub is one mile away. Dating back to the mid-17th century, this Grade II listed cottage is full of character and features mullion windows and feature fireplaces. Situated on the Jurassic Coast with its beautiful beaches and coastline, the property is also within reach reach of Lyme Regis, Exeter and Sidmouth. The local pub is 500 yards away. 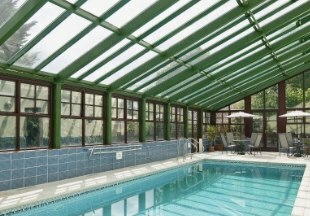 Featuring an indoor heated swimming pool, these set of holiday cottages are pested in a peaceful valley close to the sea. They also enjoy wonderful views over the woodlands and hills of the 2,500 acre estate, designated as an AONB. The local area boasts a multitude of picturesque villages with historic inns. 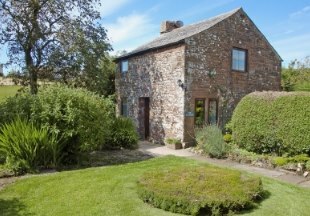 St Andrews Barn is located in open countryside at the end of a private drive. Offering open-plan accommodation and an indoor heated swimmng pool, the cottage is also well placed for exploring the excellent sandy beaches of the North Norfolk coastline. There is a pub, restaurant and shop within a quarter of a mile. This windmill makes a unique holiday home! Built over 5 floors, the views over the Chiltern Hills are simply stunning. 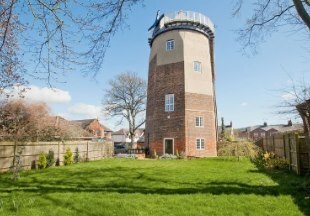 The Windmill enjoys a peaceful setting in historic Wendover with its shops, pubs, inns and restaurants. Don't miss market day on Thursdays! Pub 200 yards. English Country Inns is branching out! 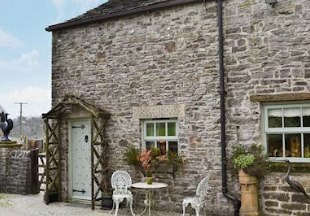 Not only do we list the very best inns and country hotels in the England, but now, in association with our sister site Historic UK and cottages.com, we introduce the very finest holiday cottages. 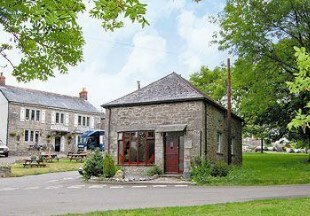 Of course, simply listing cottages wouldn't be enough... we've handpicked a selection which are near pubs and inns. You can book the following cottages online, or alternatively by phone on 0345 268 1307.